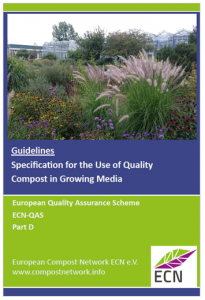 In the first week of September ECN has published the 'Guidelines for Use of Quality Compost in Growing Media' as Part D of the ECN QAS Quality Manual. 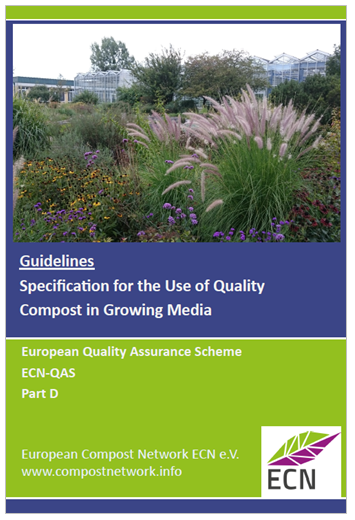 These guidelines set out suggested minimum quality criteria for compost when used as a constituent in horticultural growing media. They apply to composted material prior to blending with other substrates and not the final growing medium mix. Additional quality criteria may therefore be required depending upon the intended use of the growing medium, especially if used in professional applications. Due to the wide range of potential growing media products, these guidelines are not intended to be prescriptive; instead they set out desirable quality criteria that are recognised as being important in the formulation of horticultural growing media. Compost manufactured in accordance with this guideline will not be certified separately by ECN; compost certification remains subject to the Part C I (European Quality Assurance Scheme ECN-QAS for Compost). In order for compost to be used as a constituent in growing media, additional quality criteria have been suggested. These are either more stringent, or are in addition to, the limit values specified in the ECN-QAS Quality Manual. 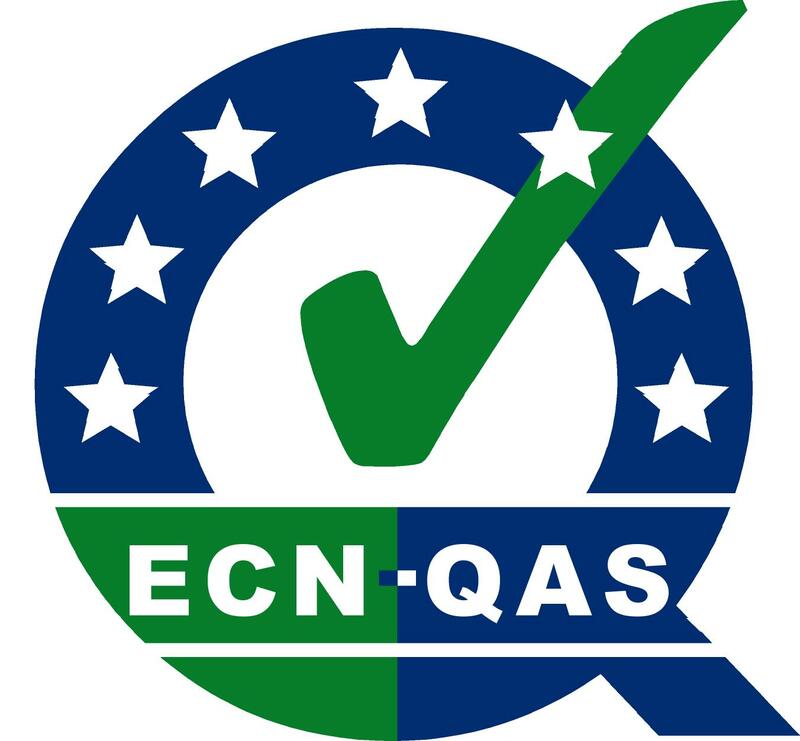 The ECN-QAS Manual can be downloaded here. The audit of KBVÖ for conformity assessment was carried out the first time after the fusion of ARGE Kompost and Biogas and KGVÖ. The conformity assessment includes the supervision of KBVÖ's quality assurance scheme (17 July 2018) and the audit of a KBVÖ composting plant was observed at the Vienna composting plant 'Lobau' on 18 July 2018. ECN quality manager Stefanie Siebert carried out the audit. In the picture from left to right are Dr Stefanie Siebert (ECN Quality Manager), Ing. Horst Müller (KBVÖ, External Auditor), Dipl. Chem. 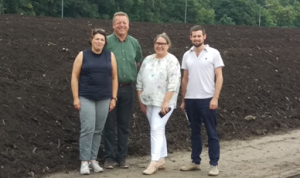 Annemarie Nowak (Head of Unit Biowaste management, Composting plant Lobau) and Mag. Roland Ertl (KBVÖ, External Auditor). The certification was awarded to KBVÖ on 6 September 2018 by ECN. Congratulations to KBVÖ for keeping their high quality! Study Day: The new EU Fertilizer Regulation - a nutrient (r)evolution? Producers, traders and users of plant nutrition will be confronted in the near future with new legislation that will radically change the regulatory framework. It will be possible in the future to market a very wide range of fertilizers, soil improvers, etc. in the EU, provided they meet the requirements of the new legislation. These regulations are complex and the ever-recurring question is: what are the consequences and what should be done to comply with these new regulations in the future? The aim of the study day is to provide a better insight into this complex matter. Presentations of experts in legislation, production, distribution and the Q & A session afterwards are the ideal forum for efficiently gaining a better knowledge of this very important (r)evolution in the plant nutrition sector.